What if you never knew where to buy CBD oil? This question lingered in my mind this past weekend and I began to think about my life before I found CBD. There was certainly a void, and I didn’t even know it. Life after CBD oil makes a huge difference. Ultimately, people who incorporate CBD oil into their daily routines understand it’s impressive set of benefits. 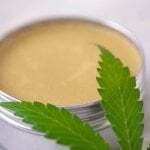 Perhaps you don’t know where to buy CBD oil, which is why you never thought about it. Either way, I want to provide you with some interesting facts about why using CBD could be very advantageous to you. First off, if there is any one reason to try pure CBD oil it is because of how it interacts with your Endocannabinoid System. Perhaps one of the most important systems your body has, it is only activated by CBD and the scientific studies behind this system are truly amazing. Science has taught us a lot about the ECS, one of the most important discoveries was regarding the CB1 and CB2 receptors in the human body. The NCBI shared a study about these cannabinoid receptors and agree with the science that CB receptors are a signaling factor in the ECS, meaning more synaptic strength within the body. 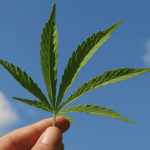 There are other studies you can find about the Endocannabinoid System, and if you’re interested in learning more about this mysterious bodily function you should take a look. Simply put, there is a magical thing that happens inside your body when the Endocannabinoid System is activated. For me, this is the most important reason to learn where to buy CBD oil today. That’s really the only area where evidence has risen to the point where the FDA has said this is acceptable to approve a new drug. 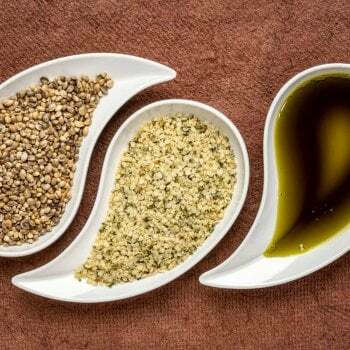 Clearly, there are still certain facts about pure CBD oil the FDA doesn’t want you to know about which is why they continue to cast a shadow on the legalities of hemp. 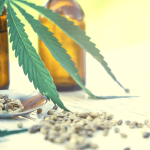 Mercola shares their opinion with the world concerning the fact that larger pharmaceutical companies are throwing their hats into the ring for compounds like CBD and hemp oil products. All the consumer has to do is to browse different studies related to the topic of natural CBD oil and they will see why Big Pharma wants their hands on it. See for yourself and learn of the proof of this rumored treatment. Another reason you may want to know where to buy CBD oil is because of one of the natural ingredients in hemp oil. These are called flavonoids and flavonoids are largely discussed when it comes to hemp oil in terms of ‘the entourage effect’. The entourage effect opens up a brand new world to a new CBD user. Simply put, with a full spectrum CBD oil, you are getting every bit of the goodness from the plant itself with minimal outside invasion or separation. The entourage effect is when this conglomeration of wellness interacts with the human body to produce a stronger result than any one of the compounds could by themselves. One scientist called it a “synergistic effect”. The best example of this is saying one person can play the bass very well. In another city, there’s a guy who plays drums, two states over, there’s a person who’s a really great singer. By themselves, they’re great, however, if you put them together you get an experience which is greater than the one you would experience with them alone. This is the same concept in a full spectrum CBD oil. You may not think you even need CBD oil. 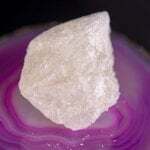 You may be one of those people who have been kept in the dark about the distinctive properties of this magical plant. 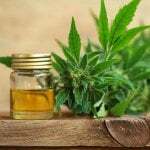 However, if you dare yourself to research it and what it can do for you, I guarantee you that you will soon be searching where to buy CBD oil for sale. 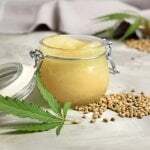 In order to complete the process of perfection for CBD in your life, begin searching for reputable companies like Kats Botanicals who have strenuous lab testing done on their products. Anyone can find a vendor, but a reputable vendor is what your body needs, and this is what we strive for – perfection. We need to continue to educate ourselves on topics like these because sadly, there are corporations and factions of our government who are also researching how to take it away from regular consumers. Think about that for a moment. Why would our government want to take away something that is rumored to do all of these great things?